Reger Rizzo & Darnall is pleased to announce that Dennis D. Ferri, Esq., Of Counsel, has joined the Firm’s Wilmington, Delaware office. 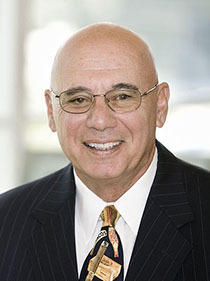 Mr. Ferri has been an active trial lawyer for 43 years. Over those years, he has tried to conclusion nearly 100 cases in Delaware’s State and Federal Courts, obtaining excellent results for his clients. Dennis has earned the respect of lawyers and Judges for his trial skills and his professionalism. His areas of practice have included general liability, personal injury (plaintiff and defense), product liability and professional liability - primarily medical negligence. Mr. Ferri has practiced law in both small and large law firm settings. Most recently, he was a partner at Morris James LLP and devoted the majority of his time to medical malpractice litigation. As Of Counsel to Reger Rizzo & Darnall, Mr. Ferri is available to provide ADR services to the Delaware legal community, including mediation and arbitration. He is a certified Superior Court mediator. His goal is to provide competent, timely and fair resolutions of legal claims and lawsuits in an efficient and economical manner. He has a substantial understanding of medicine and has been involved with most of the medical providers in Delaware. He has a keen insight into the intricacies and strategies involved with evaluating and resolving medical claims.